Currently, tomatoes needs their beauty sleep. But scientists think they may have stumbled on a tomato that can stay up all night long. It may seem pretty obvious to us humans that living under a glare of unceasing light would cause you to turn yellow and die. But some peppers, lettuces and roses power through. A similar protein has been found in Arabidopsis thaliana or thale cress (a small flowering plant that grows wild), but not much is known about it. Scientists also don’t totally understand why tomatoes are so sensitive to constant light. For other plants, the issue is often chalked up to incorrect proportions of red, blue and UV light. But Velez and his colleagues note that for tomatoes it seems to be a complicated combination of factors including carbohydrate build up during continuous photosynthesis and simply throwing off the plants natural circadian rhythms (known as circadian asynchrony). Scientists don’t totally understand why tomatoes are so sensitive to constant light. The huge popularity of tomatoes in the United States’ cuisine began in the late 1980’s with the rise of salsa, pasta and, of course, pizza. Today Americans consume three quarters of their tomatoes in a processed form and the USDA estimates the bulk of that is in sauces (35 percent), paste (18 percent), canned whole tomato products (17 percent), and ketchup and juice (each about 15 percent). The rest — fresh market tomatoes — are the kinds bought at farmers markets and in the vegetable aisle. By 2012, the United States was second only to China in tomato production as tomatoes accounted for more than $2 billion in annual farm cash receipts. By itself, California leads the world in tomatoes meant for processing — home to roughly 96 percent of U.S. production (Indiana, Ohio and Michigan account for the remainder). Greenhouse-grown tomatoes have also grown in popularity in North America as variable climates have left farmers wanting more control over the environment. The U.S. imports from Canada’s tomato industry peaked in 2005 but soon gave way to Mexico, which accounts for 71 percent of U.S. imports of greenhouse tomatoes (Canada is at 27 percent), according to the USDA. But, if U.S. farmers could grow tomatoes that flourished under lights 24 hours a day, more of those tomatoes (and profits) could originate on home soil. 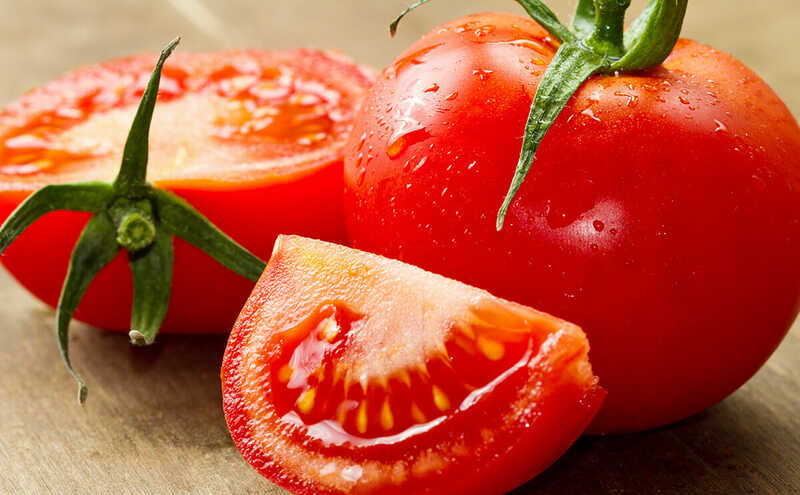 For their research, Velez’s group isolated a gene from wild tomatoes called “type III Light Harvesting Chlorophyll a/b Binding protein 13 (CAB-13)” That’s a long name for a protein that’s a major factor for light tolerance in tomatoes. They inserted that gene into modern tomato hybrid lines — a process known as introgression — and their results showed a 20 percent increase in production. If U.S. farmers could grow tomatoes that flourished under lights 24 hours a day, more of those tomatoes (and profits) could originate on home soil. This doesn’t mean that farmers will be growing tomatoes under spotlights all night long anytime soon. That’s a lot of variables to balance before isolating the precise gears and levers. Proteins, sugars, electrolytes and everything in between operate in intricate balances, so becoming certain of why exactly a plant or any animal exhibits a particular condition (like light resistance) is a lengthy process. “It is because of that complexity that we still do not have a proven explanation,” Velez says. The benefit of 24-hour tomato production probably wouldn’t be for every grower. Powering lights around the clock is expensive and many are happy enough with their production. So Velez notes that the farmers that would see the most gains are in darker parts of the world. Like most research, learning more about CAB-13 means the start of a new chapter in tomato genetics, not necessarily a conclusion. But the early results are exciting enough that Velez thinks other researchers will take notice. “This poorly studied protein should receive a bit more of attention in future research,” Velez says.” In other words, scientists are about to shine an even brighter light on tomato production.